Vikash Kundaliya did his schooling from SGRR and Childrens Academy. After that he did Graduation and post graduation in IT. Then started working as a lab instructor at Jetking Info. 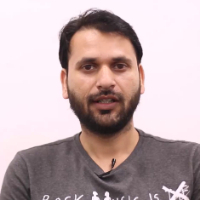 He has also done few networking courses like CCNA, MCSA, RHCE and ITIL in IT Management. After that he joined HNN 24*7 as an IT Manager in 2016. Entertainmnet Anchoring is all about informing the public on, what is happing in the entertainment industry.Entertainment anchors, also referred to as news analysts, inform the public about news and events happening Local, National and International Entertainment Industry. "After completing my graduation and post graduation in IT, I started working as a lab instructor at Jetking Info. Then I did some networking courses and joined HNN 24*7 as an IT Manager in 2016."